What are some average closing costs for your home mortgage? If you are in the market for a new mortgage there are some average closing costs that you should be aware of. Keep in mind these are averages, but it will give you a good base so you know you are not being ripped off by the man. Origination and Points: Average about 1% – 3%. Fees Will Be Updated As Needed. 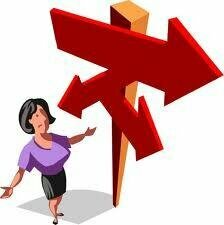 Remember there are certain fees that are negotiable like the origination and points. Typically Loan Officers will transfer points on the front to points on the back. Points on the back of the loan are called YSP (yield spread premium). What is YSP? Educating yourself before choosing a mortgage can save you big money once you are ready to sign the papers. Texas First Bank is offering an awesome High Yielding Checking Account to its local customers. If you live in SE Texas this may be an offer you want to take a look at. You will earn an unprecedented 3.25% APY on your Checking account. This would be a very high yield on a savings account let alone a checking account. Not only will you earn high interest on the balance of the account, but the checking account itself is free. Plus you will be eligible for ATM fee refunds from ATM’s all over the nation. Check our the other Rewards Checking Account Offers. Texas First Bank is FDIC insured and services customers in SE Texas. For more info and to read all the fine print visit here. You can also find our great list of checking account specials. Thinking about putting in that pool? Or how about a pond with a waterfall? 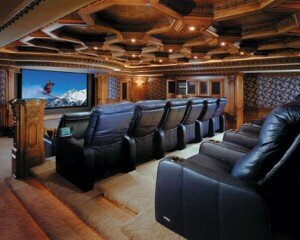 Or how about adding a brand new home theater equipped with leveled seating and sofas? Think these things will help you resale your house or earn their money back? Most homeowners believe that any addition or modification or major feature is going to help improve their ability to sell their house, or at least make the money back that they put in to it. This is not the case with all remodels and additions. If you are planning on selling your home in the future do not go over and beyond what is necessary to help resell your home. Otherwise you are just wasting money on someone else’s place. Here are some tips to help you get the most out of your remodels, additions and upgrades. Bedrooms – If you notice you will see the number of bedrooms listed on every single real estate flier, usually as one of the first bullet points. This is because homes with more bedrooms have a higher perceived value. Remember a bedroom needs a window and closet to “officially” be considered a bedroom, but that is for legal and official reasons. Homeowners make not care if there is a closet. Bathrooms – Bathrooms are important especially if you have the ability to ad a full or even a half bath. Do not overdo it though. You do not need to spend a boat load of money making your bathrooms nice for future buyers. Inexpensive Exterior Jobs – Jobs like painting, fixing siding, gutters, exterior doors, re staining the deck and minor landscaping jobs are all hugely important. All of these minor upgrades can be inexpensive but are hugely important because the exterior is the “first impression” of the house. When a prospective buyer pulls in the drive way they are already starting to make judgments and form opinions. You want those first opinions to be good. Here is a quick personal tip for you. – Even if you do not plan on selling the home for a few years do some of the improvements now so you can enjoy them before you have to sell. A few remodels that do not return their money like you think they might. Cabinets – Unless they are in real bad shape new cabinets usually do not get a full return on their money. Counter tops – Upgrading those counter tops to granite is going to cost you a pretty penny, but not affect the ability to sell your home enough to make it worth the investment. Entertainment Centers and Home Theaters – Although these are fun additions they are far to high a price tag to pay to recoup the value. And besides most families would rather have anther bedroom than an extra room dedicated to a TV. We have the living room for that, right? As the summer winds down for most of the United States, banks have stopped adjusting their CD rates. Nothing has really happened over the past few days in terms of who holds the top CD rates in the nation. These rates are available to all residents in the 50 United States and can take applications online. Be sure to check out the latest CD rates from our CD rate board. For some people waking up in the morning entails a cup of coffee, sometimes two cups of coffee. Starbucks drinks are not cheap but they are easy to get and with so many choices and flavors they can be addicting. Starbucks coffee is the fast food of waking up. Its fast, easy and convenient, but still not all coffee addicts realize how much money they could be saving just by following a few steps. Starbucks makes it easier than ever to register their cards. 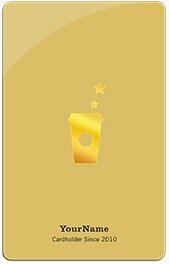 Having a registered Starbucks card allows you to start earning rewards. Did you know that? It seems to me that many people I’ve talked to don’t even realize that by having a registered card they save money from syrups to free drinks. How much is your Quad Venti Vanilla White Chocolate Mocha? In the great state where Starbucks was founded (Washington, more specifically Seattle), a drink like that can run you past $6! By using a registered card you will save on the syrup, such as Vanilla which is an extra $0.40. Every time you buy 15 drinks you get one free. Let’s do the math to see how much a true coffee addict could save if they bought one Starbucks drink each day for a month. (30 days). We save $0.40 per drink for the syrup. $0.40 x 30 drinks = $12 + 2 free drinks of $6/each, equals a total savings of $24/month. Free drink on your birthday. Free refill on brewed coffee or tea. Free drink with whole bean purchase. If you drink coffee regularly and do not have a registered Starbucks card, then it would be beneficial to register one as soon as possible. How Do You Register A Card? The Freddie Mac Primary Mortgage Market Survey is showing average mortgage rates are unchanged from last week. Old Article? See todays Mortgage Rates. If you are still on the fence about locking today or waiting just a little longer consider this. Mortgage Rates have not been this low for over 50 years. Plus mortgage rates are subject to change any minute. They could shoot drastically up at any point leaving you in the dust. If I was in a place to refinance or if I was purchasing a home I’d definitely be calling my broker and locking today. Is it worth Locking Long Term for Purchases? Rates are so low right now many people are locking in rates for 90, 120 and even 150 days in the event they find their home in the next few months. Depending on how seriously you are currently looking for a house this may be an option suitable for you. Be careful to not lock too far out because the length of your lock will affect your rate. The longer the lock period the higher the rate will be. The benefit of doing this is because of the volatility of the market right now. Yes, we could see rates drop more, but it is just as likely, if not more likely, to see them increase over the next few months. 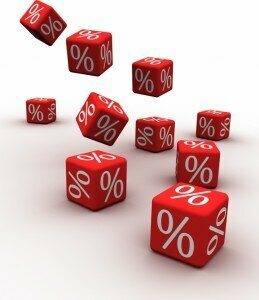 Locking in your rate now would insure you get that rate for the term you indicate in your loan. Call your Loan Officer today to get some of the options for long term locking. 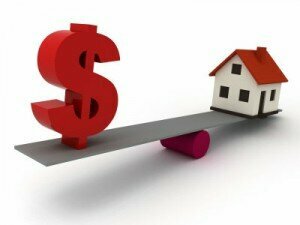 And checkout our mortgage help article if you are thinking about purchasing or refinancing. If you are into saving for the long haul then a certificate of deposit for no less than a 2 year term, might be for you. Longer term CD rates will pay the highest interest, which is still vastly lower than just a few years ago. A two year CD from Federation Bank is paying a rate of 1.71% APY. The great aspect of this CD is the low minimum deposit of $500. Some certificates of deposit require a much higher minimum, forcing many people to look elsewhere. Federation Bank is located in the great state of Iowa and branches can be found in Brighton, Wellman, Richman and two in Washington. In 2003 Washington Federal and Rubio Savings Bank merged to form Federation Bank, while Rubio Savings has been around since 1906. This is a bank that is well developed and offers other great services other than their excellent CD rates. Be sure to visit a branch location nearest you for other CD rate offers.